Hi everyone!!! Christmas is only two short days away. Hopefully everyone has all their Christmas shopping done. I still have a few last minute gifts to purchase, but I do have all my shopping complete for our holiday dinner. For me the best part about a holiday dinner is all the leftovers. Whether you have ham or turkey for Christmas there's bound to be leftovers to deal with. For some folks leftovers can be a blessing or a curse, but for me they're definitely a blessing. I love re purposing our holiday leftovers into a whole new recipe. Turkey and ham can be used in soups, gumbo, casseroles, and sandwiches. Sweet potatoes can be used to make a quick breads, stuffing can be used as a base for a casserole or to make fried stuffing balls. Leftover mashed potatoes can be transformed into savory pancakes, potato balls or used as a topping on casseroles. Cranberry Sauce can sometimes get a bad wrap around the holidays. Once you've served it with your turkey, after that it either gets pushed aside or thrown away all together. After you've enjoyed your cranberry sauce atop your turkey or stuffing on Christmas day don't toss out the leftovers. Instead, save it to make this delicious cranberry dip. I found this recipe online last year and I loved it, so I've been making it ever since. Remember the holidays aren't over just yet, we still have New Years Eve in a few short days. 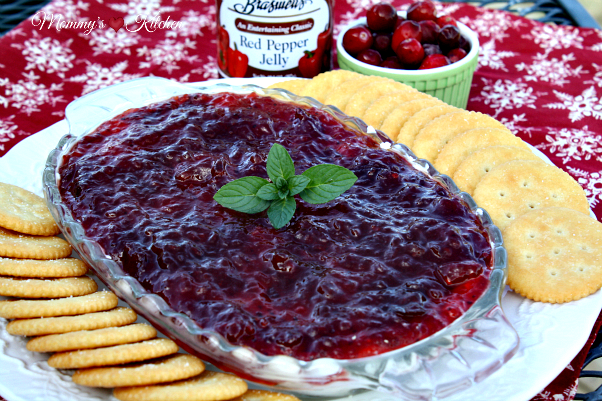 I think this festive Cranberry- Pepper Jelly Dip would definitely be a crowd-pleaser for your New Years Eve gathering. Dips are always quite popular at parties, so I think everyone will be pleasantly surprised at the sweet and spicy combination of this delicious dip. This recipe is easy peasy to make and only calls for 3 ingredients. Cranberry sauce, red pepper jelly and cream cheese. Start by spreading the softened cream cheese in a even layer on a serving dish. Combine the red pepper jelly and the cranberry sauce together in a bowl, mix to combine. 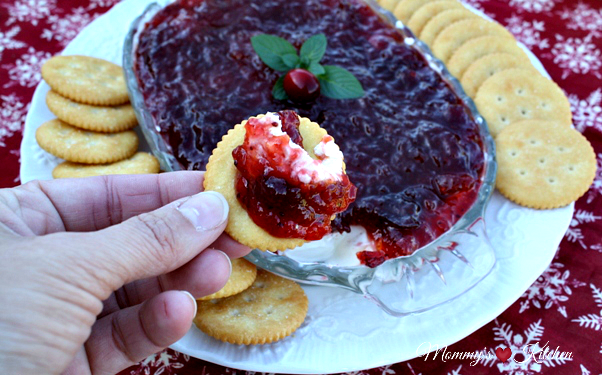 Spoon the cranberry mixture evenly over the cream cheese and serve with crackers. 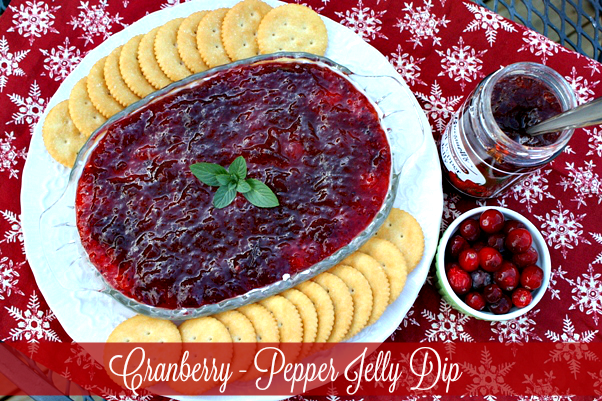 You can find everything you need to make this Cranberry - Pepper Jelly Dip at your local Walmart. If you don't have any leftover cranberry sauce stop by the store and grab a couple cans of your favorite cranberry sauce. I would love to hear what you do with holiday leftovers? Spread cream cheese in a even layer on a serving dish. Combine the red pepper jelly and the cranberry sauce together in a bowl, mix to combine. 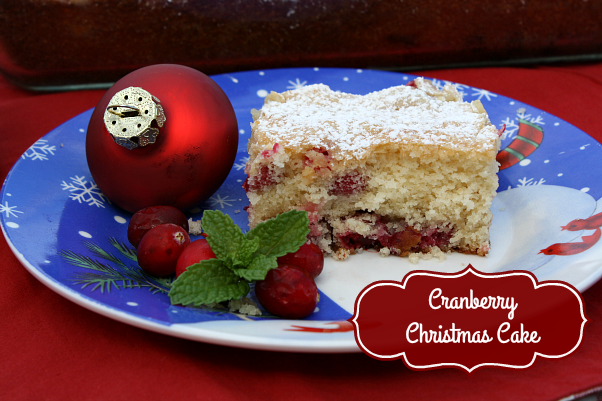 Spoon the cranberry mixture evenly over the cream cheese. 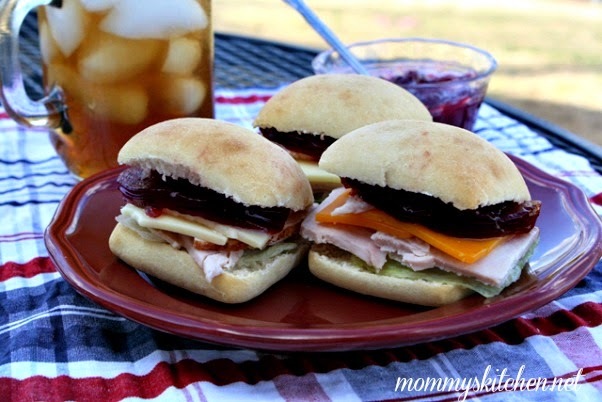 If you're looking for a few more recipe ideas for leftover cranberries or cranberry sauce, check out these easy Turkey Cranberry Sliders & this tasty Christmas Cranberry Cake. For more meal inspiration for holiday leftovers stop by Walmart's Food & Celebration section on their website. Dip looks wonderful and so easy and quick to make at last minute. No leftovers here at my house as we have been invited out.